As strange as it may sound, carpooling with strangers is a business that brands are making money off, but UberPool goes beyond the capital and talks about the silent stories, personalities and instances that we bump into during these rides. Uber ‘No need to..’ a recent campaign tags along a message that says, no need to know each other to go in the same direction. Let’s even take a look at their recent social media journey around the globe along with it. Focusing on the UberPool campaign, that unleashed the varied personalities that come along our rides, the brand quickly through their video brought out human traits. In a fast paced world, your rides are the time you get for yourself and in those journey’s you tend to meet people and sometimes just ride without conversations or experiences, which in fact turns out to be an experience in itself. As the brand suggests through their rapid, fresh and visually pleasing video that you do not need to discover, speak, support, understand, listen to each other, be in unison or get along but just drive along in the same direction. In these 50 seconds of the film, the brand does not sugarcoat the experience or script it into a fantastic one but simply beautifies the reality making this film extremely relatable and honest. Receiving just about 1,577 views, UberPool Paris released this film which actually makes sense to the entire world. No easily accessible on the social media giants, this film was shared on YouTube mainly. 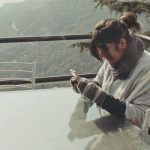 In a world where brands are fetching for stories, creating visual experiences for people to emotionally connect on, Uber chose to connect with reality which in fact worked well. Despite having a strong audio-visual piece which makes sense to all parts of the world where this service is available, Uber failed to gain momentum with its lack of digital presence and a social media push. In India, Uber overall has had a fairly humble social media presence; the brand that completes with Ola has not produced enough campaigns to put up a digital fight against their competitor which in contrary have a strong social media presence. Ola has repeatedly emerged out through their digital presence with #GiveWayGiveLife, #PeekeMatChala for New Years and #DoYourShare an environment conservation campaign. But Uber only recently reached out to their Indian audience in September 2016 with their giant campaign ‘Move Forward’ with heart-warming four tales of – Uber Moves Shankar, Uber Moves the Reddy’s, Uber moves Aroras, Uber moves Shalini and Dharam. 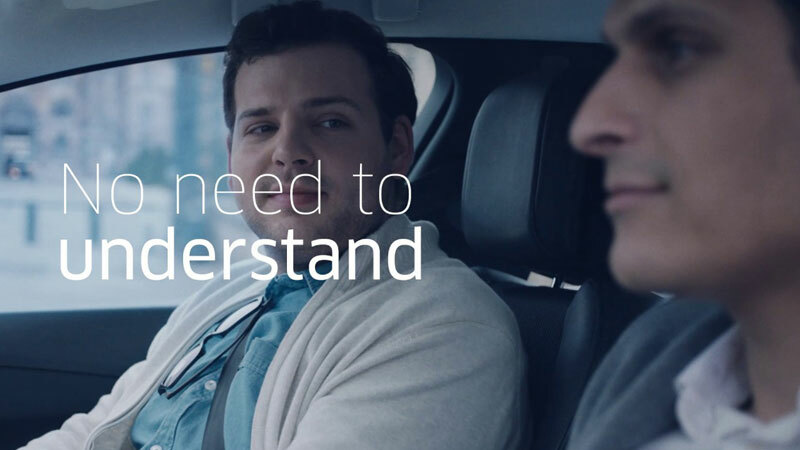 Interactive, engaging and stories that will leave a slight emotional print behind, Uber through their initial campaign itself set a high benchmark. Releasing in June 2016, the UK wing of Uber released ‘Get there with Uber’ in five major cities- London, Leeds, Manchester, Newcastle, and Liverpool. This campaign featured six different creatives of real drivers and riders to show customers and employees actually using the app. The drivers and riders of the brands were photographed and interviewed to inspire with their stories. This entire activity was captured on a film and shared with the digital world as the behind the scene activities of the film, getting us more involved in this campaign. Utilizing a creative strategy for the Chinese New Year around the cities in China and Singapore, Uber allowed customers to call for a real life lion dance at their location, which is considered to be a key element of their festivities. Focusing on the traditional elements and bringing in the festivity flavors through their initiative, the brand managed to engage their audience into a clever campaign. Which is your favourite Uber campaign? Let us know on team@socialsamosa.com. Milton asks Gen Z - Kahaan Ka Piya?